Bring your favourite recipes to life with this cream electric cooker from Stoves. With an efficient A/A energy rating, it’ll be kinder to both the environment and your utility bills. 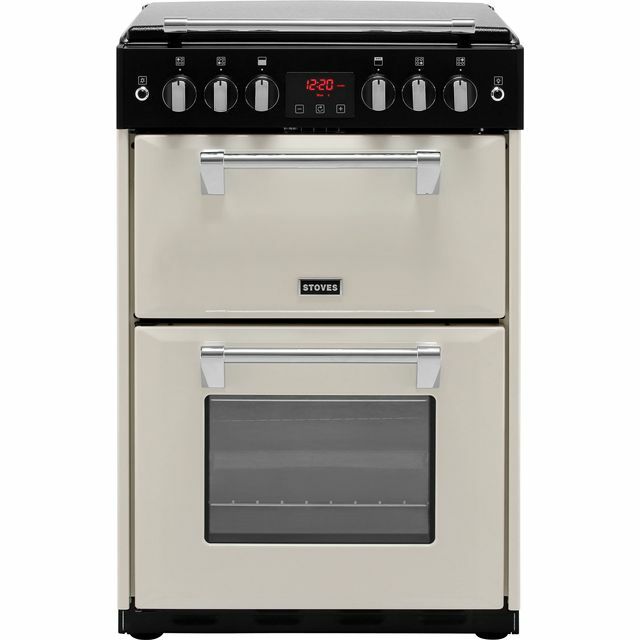 The main electric fan oven evenly circulates heat inside, which is great for creating multiple dishes at once. Its slow cook function is ideal for preparing deliciously succulent meat, so it’s perfect for creating hearty meals for your friends and family. It even has handy telescopic shelf runners, which slide out to make it effortless to check on your masterpiece. Good looking cooker, enhances the kitchen. Well made with an excellent finish to all the metal work. The cooker is quiet in operation and extremely efficient. 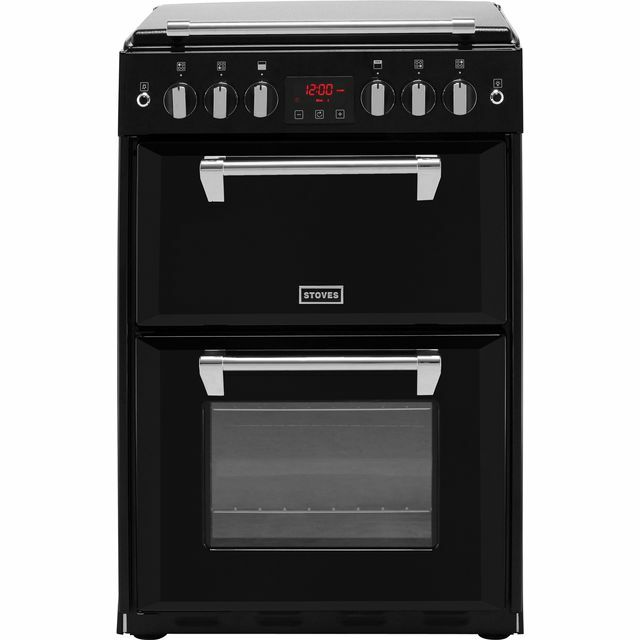 It has ample insulation which ensures all the heat is kept in the areas that you want it, quite simply everyone can rustle up a three course meal on the Stoves Richmond 600DF. Just a great bit of kit that has made a big difference to our daily lives. given both of us more confidence when cooking. Nothing bad about the cooker. 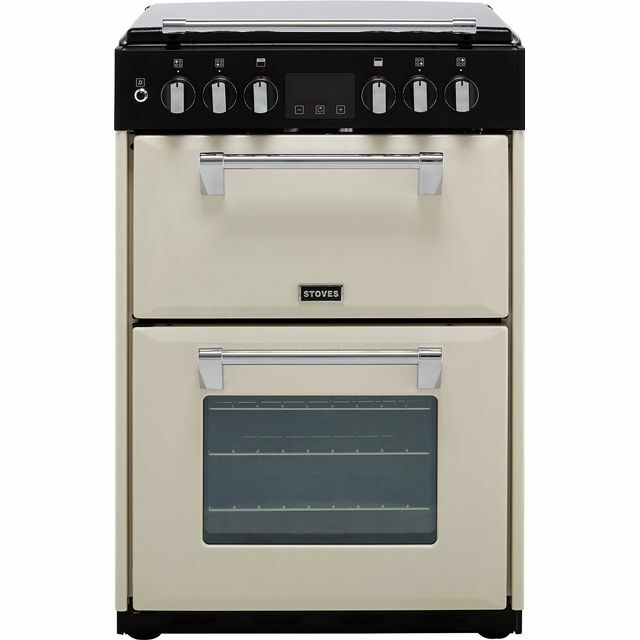 Lovely cooker blends in well with my kitchen and colour scheme it’s built well easy to understand the workings etc good sized ovens and easy to clean just wipe down the top it looks durable and well made for the price paid I’m very pleased with it and would recommend it haven’t done to much baking with it yet but really looking forward to doing so with my granddaughter who loves to bake just like myself. From checking out the oven on line,ordering,delivery and unpacking if there is a better company then I don’t know of it. 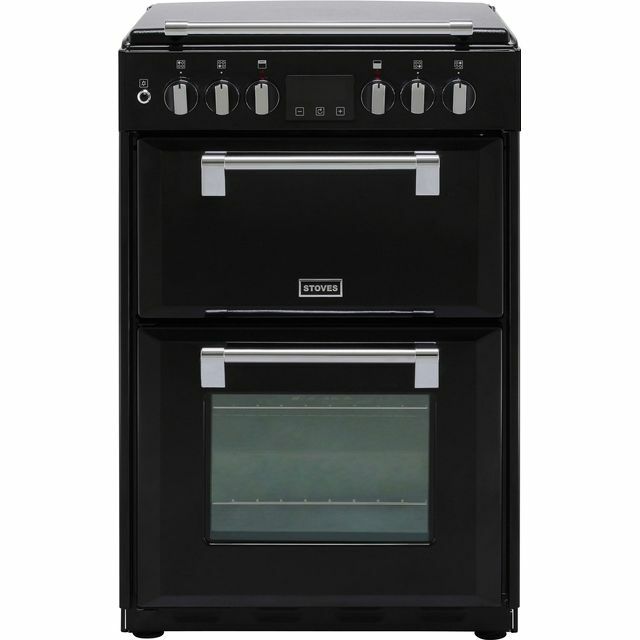 The oven is exactly as was advertised, good quality and easy to use. Just a reminder the gas part of the cooker does need a connecting pipe this don’t come with it. The connectors are easy available from many diy stores. Strong good looking cooker. Excellent gas job which repacked a ceramic job. Much more efficient and easy to control.